Summer break is just around the corner. 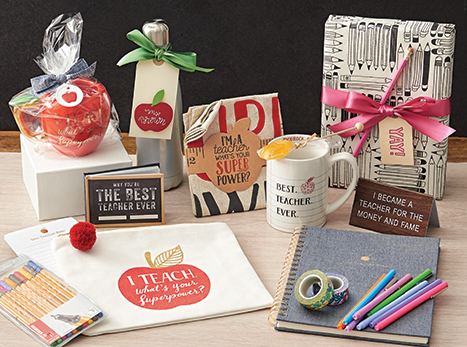 Before trading in the backpack for a beach tote, show an A+ teacher your appreciation with a thoughtful gift – Paper Source has got you covered with items for teachers of any grade, along with wrapping and DIY tips to add a meaningful touch to your gift. 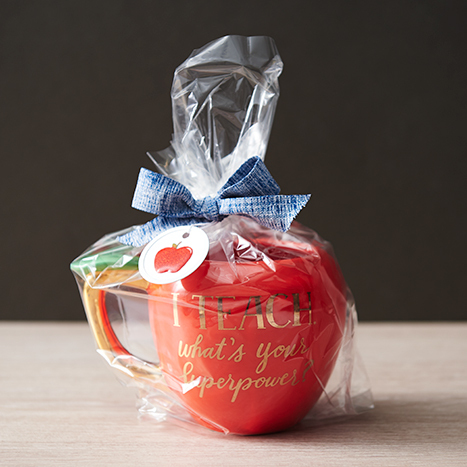 Show off a great gift (like the Apple Teacher Mug) with a clear Cellophane bag. To make this tag, we stuck a Glitter Apple Sticker to a Medium Metal Rim Tag. Tie it on your bag with a Blue Chambray Ribbon. 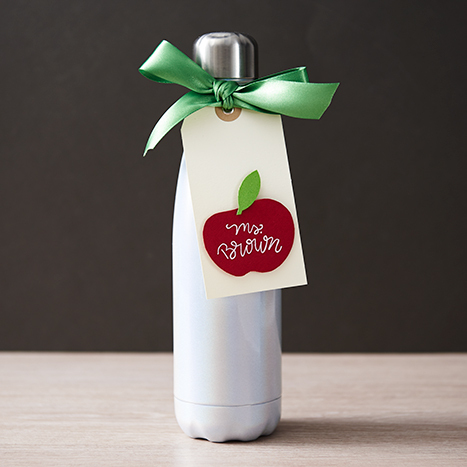 S’well bottles make excellent gifts for busy teachers. Elevate your gift with a DIY tag. Cut an apple and leaf out of red and clover card stock and attach them with glue or tape runner. Address with a Uniball White Gel Pen and affix to a Superfine Soft White Hang Tag using a foam square. Then, tie the tag around the neck of the bottle with a satin ribbon. 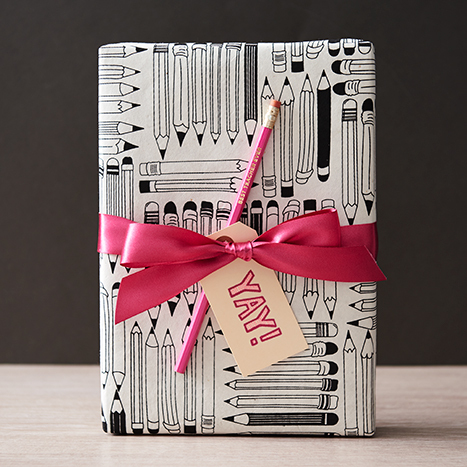 For the teacher who’s never dull, wrap their gift with our Black and White Pencils on Natural Paper. Embossing is another option for creating a hand-made tag. To make this tag, we used the Yay! Stamp with pink embossing powder and added stripes with a pink pen. Tie to your gift with a satin ribbon, and add a finishing touch with a Best Teacher Ever Pencil. Bonus: Choose a bag (we suggest our Teacher Superpower Tote) and fill it with classroom essentials for a tote-ally useful teacher gift!